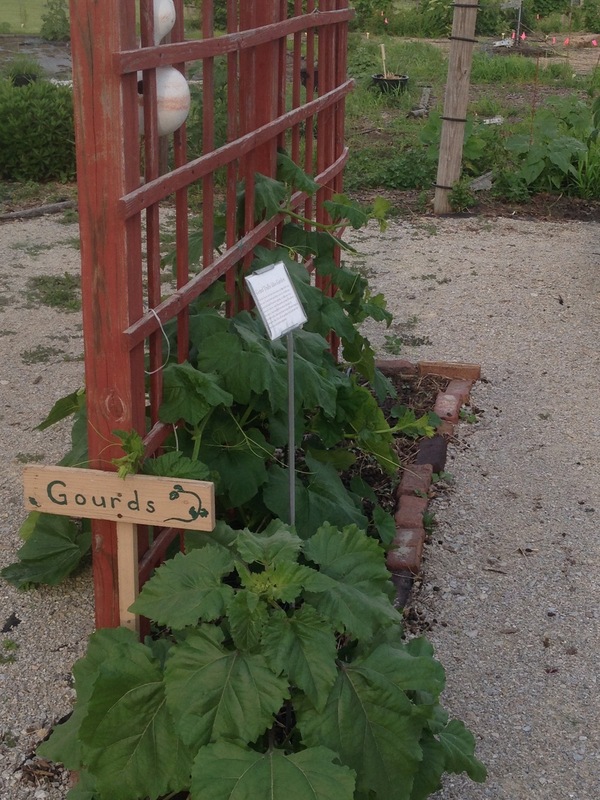 Gourds of many sizes have been grown on this trellis over the years. From bushel and dipper gourds to birdhouse gourds and small decorative gourds, it is different every season. It is fun to watch the gourds growing throughout the season, some dangling from above through the overhead trellis, others perching on top, still more hanging along the sides. As in all our gardens, don’t pick just look and enjoy.